I'm trying to use Cyberduck with cross account roles and KMS encryption. 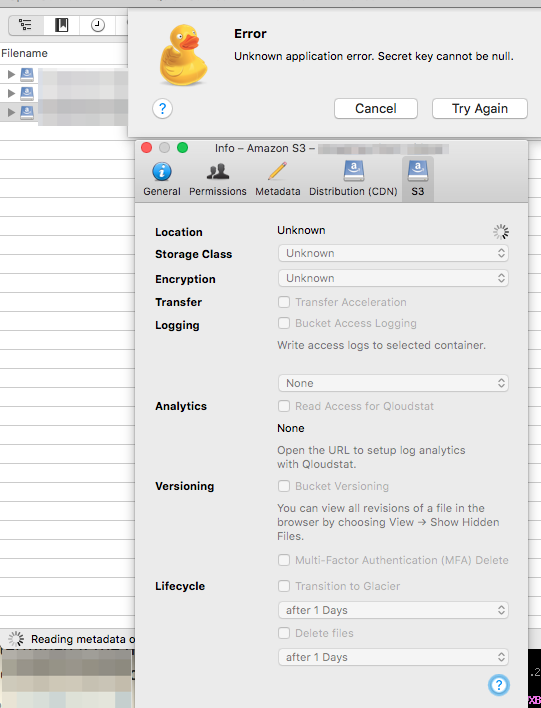 When I go to the bucket info to set the encryption key, I get a response of "unknown" in the drop down. See ​https://www.evernote.com/l/ADWy3EPIlTFDt5XkrjMW2lOfwNCABQVf2Eg. Along with this I'm getting an error of "Unknown application error. Secret key cannot be null." The error feels related, but I'm not sure.